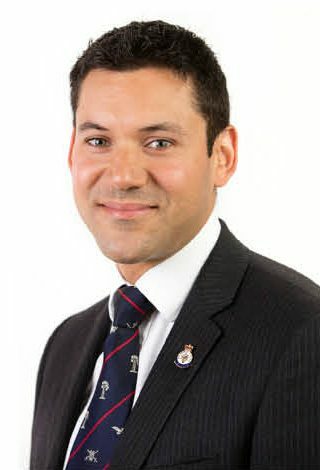 I am an international fellowship trained consultant orthopaedic surgeon with specialist expertise in Foot & Ankle surgery and complex limb reconstruction. I am on the General Medical Council specialist register for orthopaedic surgeons and a member of the British Orthopaedic Foot and Ankle Society as well as the British Limb Reconstruction Society. My NHS practice is based at Salisbury NHS Foundation Trust. My Private practice is at New Hall Hospital and Spire Southampton. I have a very patient-centred approach and I understand how important it is for patients to get back to doing what they love. I will do all I can to help you return to your own hobbies and pursuits. I am able to offer a variety of the latest surgical techniques and treatments and will work with you, to select the most appropriate patient-specific plan for you. I commenced my studies in Medicine at the University of Edinburgh medical school in 1995. In 1998 I was commissioned into the Royal Air Force on a medical cadetship, and I graduated from medical school in 2001. I completed Officer Training at RAF College Cranwell, followed by a posting at RAF Benson as a Junior medical officer. I entered surgical training in 2004 and undertook basic surgical training posts around the country in a variety of specialties including orthopaedic surgery, general surgery, emergency medicine and plastic surgery. In 2006/2007 I took a year out of clinical practice, in order to contribute to a military research programme into combat casualty care. My research eventually led to the award of an MD (Doctorate of Medicine degree) for my thesis on novel resuscitation strategies following blast and haemorrhage. My specialist orthopaedic training was completed on the Wessex rotation, at the end of which I was fortunate enough to undertake a complex limb reconstruction and bone infection fellowship at the internationally renowned Nuffield Orthopaedic Centre in Oxford. I was then awarded a prestigious British Orthopaedic Association travelling fellowship enabling me to visit and spend time with Prof Catagni in Italy, the famous Ilizarov institute in Kurgan (Russia), and also the Hospital for Special Surgery (HSS) in New York. Visiting these famous centres advanced my understanding and knowledge of complex limb reconstruction and foot reconstruction surgery, and also opened my eyes to the potential of joint preserving surgical options for managing ankle arthritis. My first consultant appointment was at University Hospital Southampton, which is a regional Major Trauma Centre. I retired from the Royal Air Force with the rank of Wing Commander in 2015, after 16 years of service including operational experience as a trauma surgeon in Afghanistan. I was then appointed as a consultant at Salisbury NHS Foundation Trust. I have co-authored a book chapter on blast injury, and have numerous peer-reviewed research publications to my name. I have delivered numerous presentation at a variety of national and international conferences. I am also an invited reviewer for journals including the Scandinavian Journal of Trauma and the Journal of the Royal Army Medical Corps. When not working, I love spending time with my family, working in the garden and keeping fit. I am a keen sportsman regularly running and cycling, and I also enjoy mountaineering, climbing and skiing. I frequently participate in sporting events including running races, cycle sportives, triathlons and adventure races.